Portugal´s Best Olive Oils ranking is updated anually with the oficial results of Portugal National OliveOil Competition! ﻿*"Portugal´s Best Olive Oils" ranking is built exclusively trough the results of Portugal Mario Solinas Award, and Portugal National Olive Oil Competiton - CNAP - previsously known as "Extra Virgin Olive Oil National Competiton" - CNAVE - counting the awards granted to each commercial reference, in every edition of the competition. In order to calculate the final score, a ponderation factor was introduced, in which a "Gold Medal" represents 4 points, a "Silver Medal" 3 points, a "Bronze Medal" 2 points, and an "Honorable Mention" 1 point. The final score of each commercal reference in "Portugal´s Best Olive Oils" ranking is obtained trough the arithmetic sum of the scores of correspondant batches of olive oil, after the application of the ponderation factor. Only batches in compliance with the competitiom anual regulations were considered. 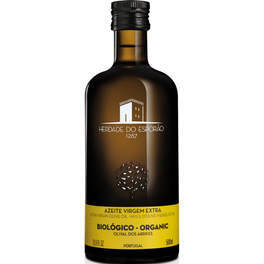 "Portugal´s Best Olive Oils" ranking is brought you by CEPAAL - Centro de Estudos e Promoção do Azeite do Alentejo - www.azeitedoalentejo.pt.